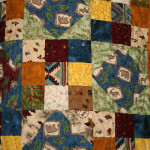 I am chronicling the back stories for each quilt I have created. 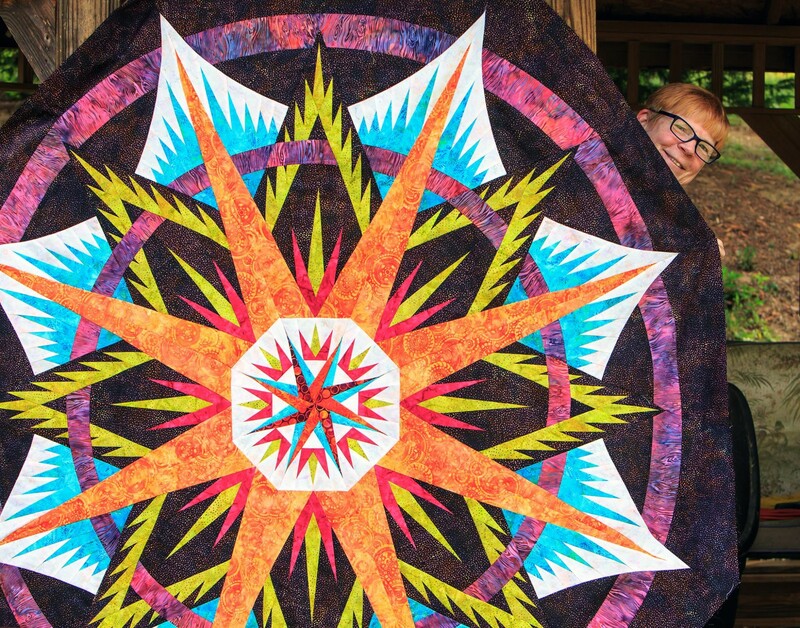 This is the story of Dan Houck’s Christmas quilt. 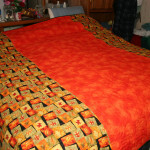 After making my first quilt I made the same mistake many new quilters make. I decided to make a KING size quilt to put on our bed. Since this was to be a present, Dan of course got to pick out the colors he liked. Unfortunately for me, the colors certainly were not ones I would have chosen.As a result, this quilt took a very long time to create not only due to the size but my reluctance to work on it. The colors didn’t make me feel happy and cheerful. 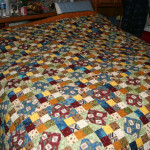 Ultimately the quilt was finished. I had the quilt quilted professionally using bears in the borders. Dan was thrilled to finally get his long promised quilt. 1. 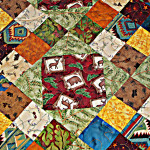 Work in smaller sizes to learn and perfect the techniques that will be used in the quilt. 2. Working with colors you adore make the process much more enjoyable. 3. Specialized tools can make the cutting and sewing SO much easier. 4. Buy Specialized Tools – many and often. See #3. 5. 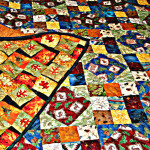 Paying for professional quilting of a large quilt is very smart, especially if you are new to quilting and want something special. The quilt colors didn’t turn out as either one of us expected. The one thing I can honestly say is that I appreciate the time and effort that went into the creation of this very unique Christmas gift. It remains one of my favorite gifts of all time. Thanks for making this for me babe. Hi t’other Jan, great to see you on here, super quilt well done you. Look forward to seeing more posts. 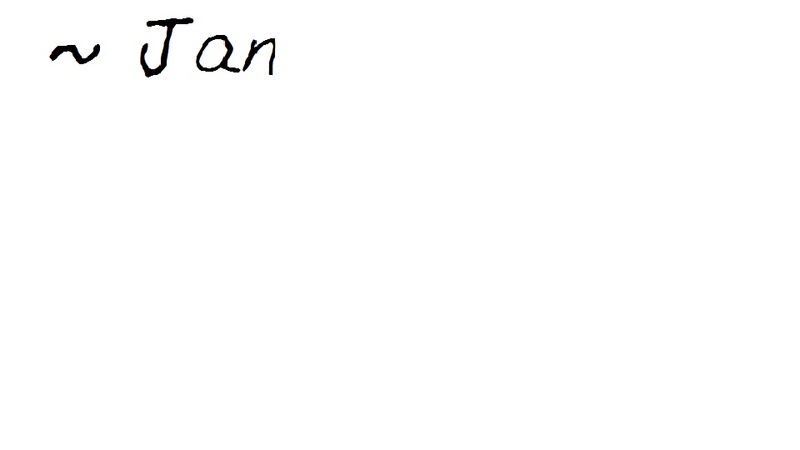 We can’t have to many Jans. Thanks for taking the time to visit. What a great story. I have a few if those bit off more than I can chew projects myself. Don’t we all. I finally have all the pictures Dan has taken on my computer so I can blog about each one. He still has to take some of the 1st quilt I made that started this journey.